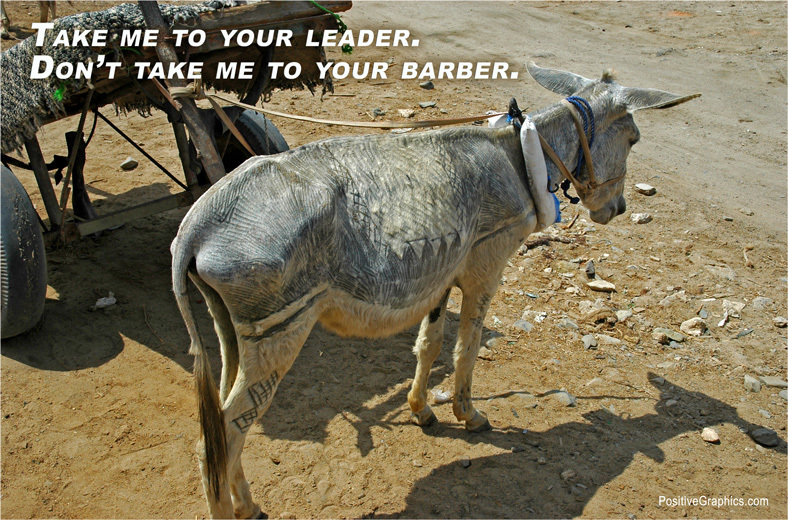 In twenty-eight years of living and working overseas, I have seen only one donkey who had a haircut. While walking through the market in Suakin, I encountered this solitary creature tied to his pull cart. Presumably, his owner fancied himself to be a donkey barber and had created a hair tattoo on his torso. In North America and Europe, people occasionally hire barbers to inscribe their name or designs into their hair. Doing the same thing to a donkey seems a bit odd. The donkey barber's handiwork never caught on in Sudan as this was the only donkey sporting this look. I didn't get a haircut from the Sudanese barbers. Instead, my wife took out her scissors and comb and trimmed my hair on the beach.